Your membership to LDAO automatically affiliates you with a local chapter. Our 16 chapters are run by dedicated staff and a volunteer Board of Directors. They are people like yourself, who dedicate their time and efforts to ensure that people with learning disabilities are enabled to reach their full potential. There is a wealth of information available to you through your chapter. Various types of services may be available in your community. More specific information on local programmes can be obtained from your chapter. 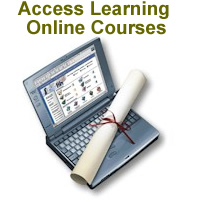 Member fee rates to all LDAO programs and services, including online workshops, courses, etc.